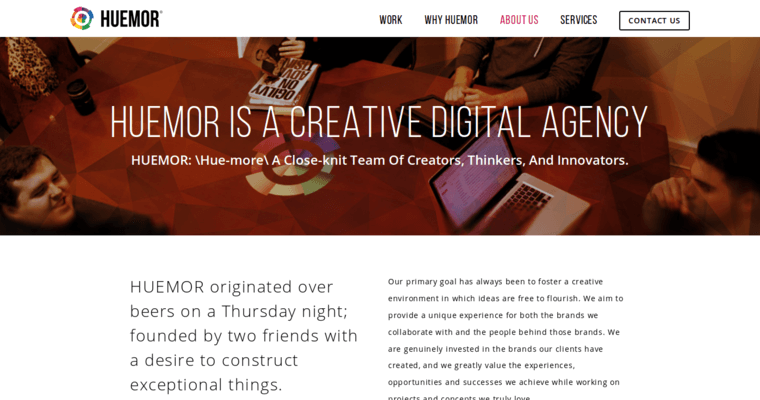 Huemor Designs is one of the best Web Design Firms currently in business, and they have gained this reputation by the quality of the services that they offer to their clientele. The services they offer are development & tech, E-commerce, content management, responsive techniques, brand identity, and integrated marketing. Regardless of the service one needs, Huemor Design has a straight process that they follow. First, they like to discover who it is that their customers are. The process they use is discover, consult, create, develop, and finally amplify. This process is what helps their reputation of being the best in their field. It lets them get to know their clients on an in depth level, and this allows them to crate the best content possible for them.